Constant bad breath or a bad taste in the mouth may be a warning sign of gum (periodontal) disease. 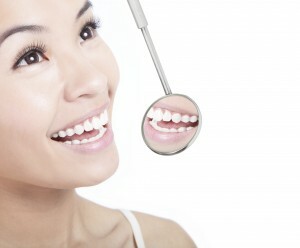 Gum disease is caused by the buildup of plaque on teeth. Bacteria cause the formation of toxins to form, which irritate the gums. If gum disease continues untreated, it can damage the gums and jawbone. Practice good oral hygiene. Brush twice a day with fluoride toothpaste to remove food debris and plaque. Brush teeth after you eat. Don’t forget to brush the tongue, too. Replace your toothbrush every 2 to 3 months or after an illness. Use floss or an interdental cleaner to remove food particles and plaque between teeth once a day. Dentures should be removed at night and cleaned thoroughly before being placed in your mouth the next morning. Drink lots of water. This will keep your mouth moist. Chewing gum (sugarless) or sucking on candy (sugarless) also stimulates the production of saliva, which helps wash away food particles and bacteria. Gums and mints containing xylitol are best. Keep a track of the foods you eat. If you think they may be causing bad breath, bring the log to your dentist to review. Similarly, make a list of the medications you take. Some drugs may play a role in creating mouth odors(Source: WebMD).